This function allows the users to enter the Award Criteria for awards which involves overall academic performance and involvement in CCA. Click onto desired Honors/Awards link to modify. 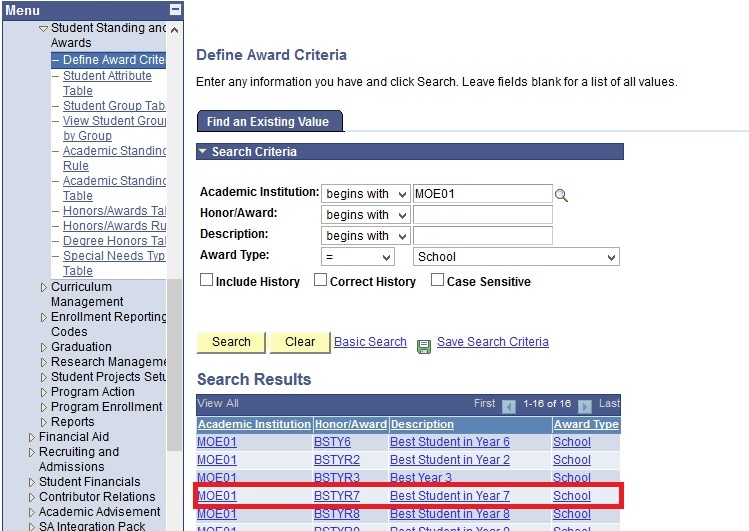 Fill in the Honors/Awards Details into their respective fields. Fields with (*) indicated that they are required. User will not be able to save the page if any one of them is blank. Click on the Correct History button. 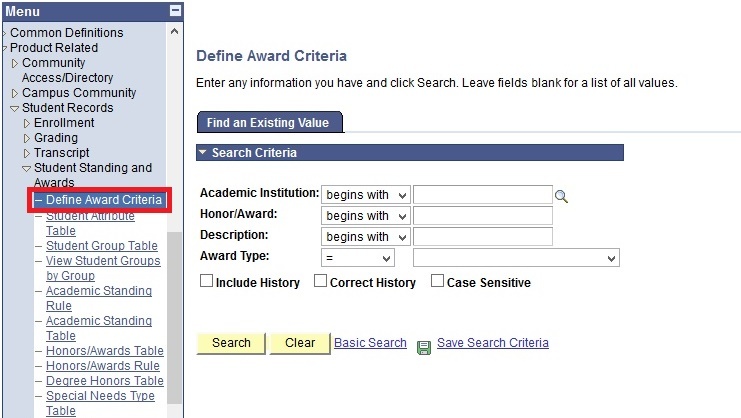 Modify the details of the Award Criteria. Click on the Status drop-down list and Select Inactive.